A Day Away from the Four Walls…… | Which me am I today? Yesterday, I was so fed up with being stuck indoors that I was glad Cathryn Hart from my local Research buddies had asked me to do two local events with her. She had said I could opt out but I was grateful to be able to get out into the fresh air and be with people. My drippy nose and splashy sneezes had subsided so I didn’t feel as though I would infect everyone within a 2 yard area of me……. She picked me up as planned from home and we drove the short distance to Hull Universities new Medical school…. 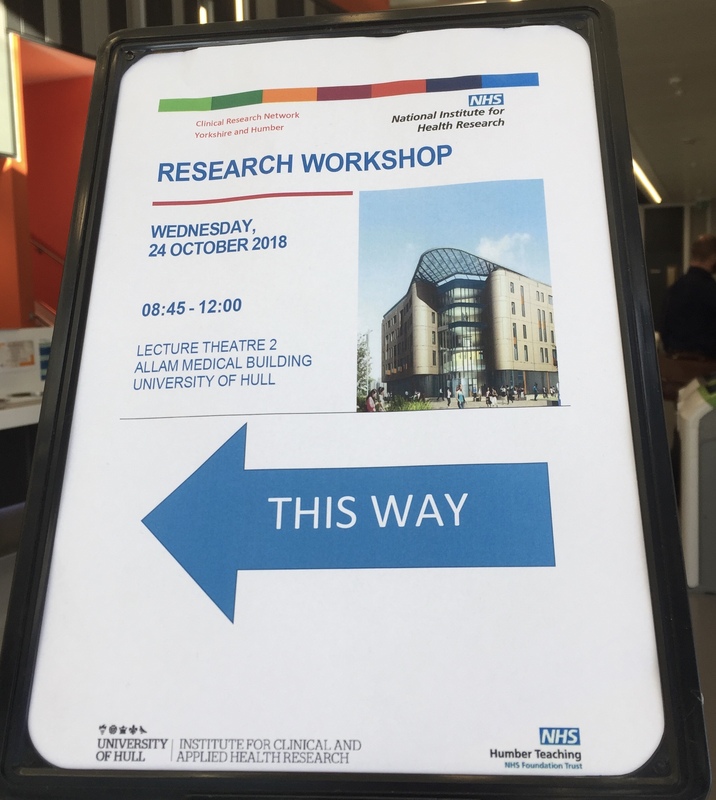 We were met by Professor Thom Phillips who was conducting the session and had a cuppa tea or 3…….. My twitter friend Jane Wray was also there – Director of Research in the Dept of Health Studies at the uni – hope I’ve got that right. A multi disciplinary group of professionals were in attendance to hear about the research collaboration in mental health. We were in the new medical building at Hull Uni which was very swish and comfy but very cold…. Thom started off by talking about the role of the Clinical Research Network to enhance research across the locality. Health in our local area is generally poorer than the average across England. The local population can benefit from research in many mental health areas. A Trials unit has been established at the Uni. Thom went through the role of the clinical research network. At the heart of the core is the increased opportunities for people to take part in research. 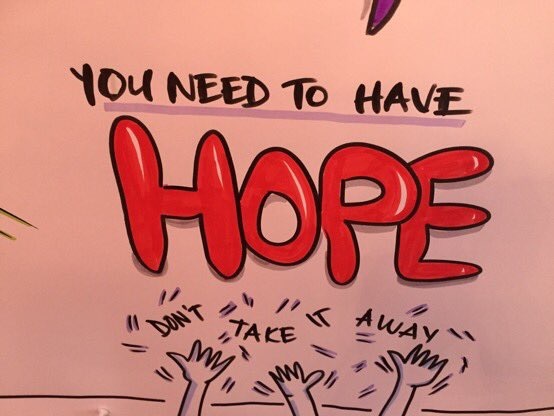 Patients and public are at the centre of the role of the Research Network…. One aim is to allow the local people to have the benefits of research that they wouldn’t necessarily get access to. To do this there has to be clinicians as Principal Investigators to take a leadership in delivering the research. Local people can have access to different treatments, different ways of approaching a condition. The audience were here in the hope that they would be curious enough to learn more about becoming a Principal Investigator. It was then mine and Cathryn’s turn – Cathryn has worked in research for 25 years. We can offer treatments that would not necessarily be available. Research can be an extra and fill gaps when services are in short supply or waiting lists are long. Research active trusts have better patient outcomes than those that don’t. We need to address the inequalities in research. A smaller percentage of mental health patients take part in comparison to cancer patients because clinician are more likely to offer patients the chance to take part in research. A new study in Humber is researching children with phobias and provided a wonderful quote of the day from the children and phobia study..
Part of what I said was…. In response I said how language used by clinicians is so important and if you ask people if they want to take part in research they’ll probably say no……if you ask them if they want to be involved in trying some new treatment or intervention programme , maybe they would have a different reaction and not feel so threatened. After a much needed cuppa tea or two Tim Buscher spoke about SPARC – Social and Psychological Approaches to Research into Long Term Health Conditions. He showed many funded research areas currently taking place. One on alcohol the workplace and policy, Tim’s own study on effects of compulsive hoarding, loneliness in men and women, Well Being intervention for young children……so a diverse range of amazing research going on in Humber that so few people know about. Dr Adrian Phillipson and Dr Fleur Ashby finished off with the role of the Principal Investigator and the fears which prevent other clinicians who may want to get into research but think it’s too complicated. I suddenly appeared one of his slide😳 with all his local team from RDaSH…..the aim was to show the amount of people who are there to help Principal Investigators…..especially new ones! Fleur, from Barnsley spoke of her drug trial for alcohol dependent patients and the support she had. 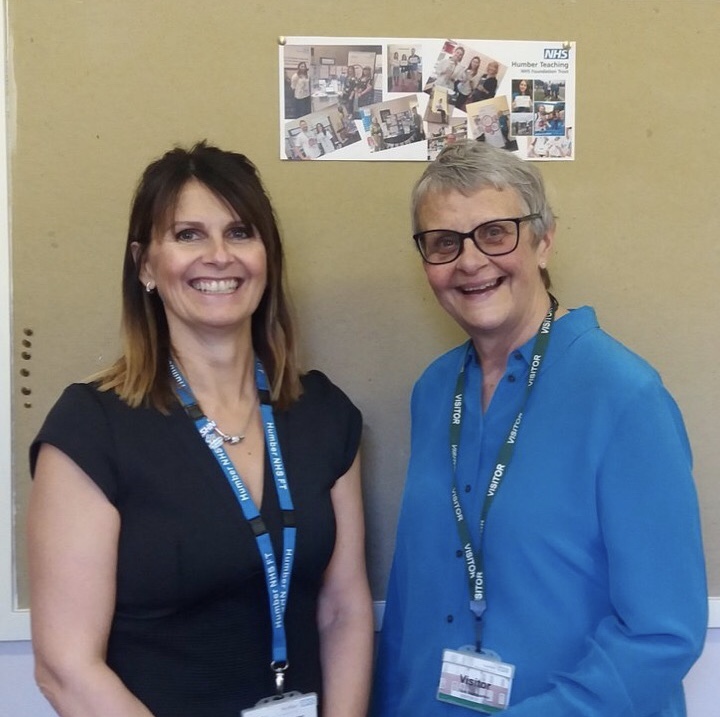 Afterwards we went back to Trust headquarters for a cuppa before the second meeting ……well, in for a penny and I was there anyway……this time we were promoting research at the Humber Trust Patient and career forum. By this time my tank was almost empty but luckily we were first up……Cathryn played a lovely film of people who had taken part in research in the Trust and then it was me…A bit of what I said was…..
“The Patients voice needs to be heard. Our opinions matter. How else will researchers know that the very method they’re researching works without us giving our views”……..
We made a hasty exit after our bit thankfully, but it was nice to see so many people from all walks of life and with a relation to many conditions being part of that group in Humber. Worn out but happy to have been out and about…..
Wendy, I so enjoy reading about your adventures. You are both informative & entertaining. You usually make me laugh & I chuckled today when a photo of you appeared during the slide presentation. Why are we all shame-faced when our faces appear unexpectedly – ha! I do sympathise.